Other large payouts include a prison doctor who cashed out more than a $590,000 of vacation time when he retired, a computer specialist in the legislature’s legal office who got $61,905 in overtime on top of his $71,560 salary, a psychiatrist for the Developmental Services Department who received $97,700 in extra-duty pay and the head of the state gambling commission, who banked $169,623 in unused holiday pay. Keller, the nurse at the prison outside San Luis Obispo who tripled her pay with overtime, worked 2,450 extra hours in 2010, or 102 full days. 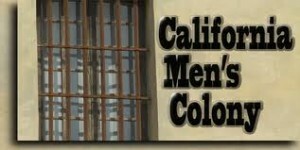 Some of that was required overtime, though she volunteered as well, said Nancy Kincaid, spokeswoman for the federal court-appointed receiver that runs California’s prison health-care system. Keller wasn’t alone. Nurses working in California’s crowded prison system earned $54 million in overtime in 2010, an average of $13,600 each, in addition to their regular pay. Nurses working in mental health hospitals got $41 million more in overtime. Through her supervisor, Keller declined to comment. California state employees can cash out unused vacation when they resign or retire. The practice of banking such pay for retirement is so prevalent that the Personnel Administration Department keeps a Lump Sum Separation Pay Calculator on its web page. No wonder why they want to build more prisons! Who says crime doesn’t pay? Probably cheaper to let the criminals loose than get ripped off by these leeches. If small business is the backbone of America why pay these types so handsomely while the biz owners beg for loans? Good for her!Glad some one has the guts to go inside the gates and do the job!Hope she had a good time with the little time off she had! Apparently CCN doesn’t allow overtime for proofreading. Apparently CCN soesn’t allow overtime for proofreading.